Producer Waste Responsibilities - What Does it Mean? Producer Waste Responsibilities – What Does it Mean? The UK government has introduced a number of regulations and laws to cover a producers responsibilities regarding packaging, electronic and electrical equipment (EEE), batteries, end of life vehicles and their disposal. They are designed to make business more responsible for the products they manufacture and their end of life impact on the environment. It’s difficult to clearly define exactly what waste is but we all manage to create it whether residential or commercial. A general definition is that waste is anything discarded or intended to be discarded in the future. 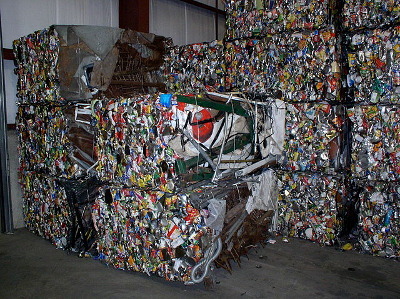 Even items and materials sent for recycling are considered to be waste. When a business transfers its waste to an authorised contractor it’s their duty of care to ensure they have the correct licence and are registered to receive a particular type of waste. Ask for a copy of the permit and keep a copy. You can also show you’ve taken all reasonable steps to prevent the illegal disposal of your waste by visiting the disposal site and undertaking an audit of their operations. Upon the transfer you will also need to complete a waste transfer note (WTN). This waste transfer note shows exactly where the waste has come from and where it will end up. It is a clear audit trail that can be followed by the local council or Environment Agency and if you haven’t got them you’ll likely be given a fine. As well as disposing of waste responsibly it is also the duty of the business to ensure it is stored correctly, while waiting to be collected. The waste must be stored securely, safely and in suitable containers to minimise any impact on the environment. We’re a responsible waste clearance company in London that cares about the environment. Only by working together can we make a difference to the levels of waste we create, whether commercial or residential. This entry was posted in "Waste Management" on Tuesday, November 11th, 2014 by 24/7 Waste Removal.